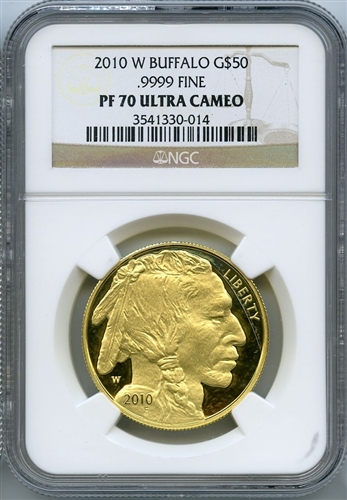 Vault Wholesale offers a nice selection of American Gold Buffalo coins certified by PCGS and NGC. Due to ever-changing inventory, we don’t regularly list or update individual grades or dates here on the website, but they are regularly in our inventory.. Please call us at 503.213.3352 for today’s inventory and pricing. Thanks!